I didn't write a post this past Friday because we were in LA for my husband's cousin's wedding and I left my laptop at home--it was quite nice to be off-line and spend time with family. We returned late last night, so we missed the magnitude 6.0 earthquake that hit Northern California near Napa Valley yesterday morning. I found out about the quake when I received texts and emails from loved ones making sure we were ok. I must say I am happy we missed it and were in LA, and I am wishing the best for everyone who was affected by the earthquake. 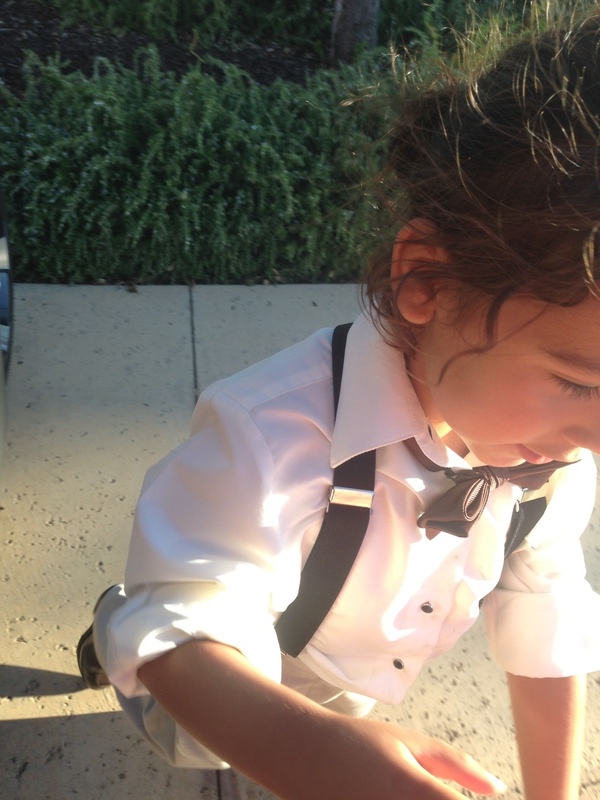 Mario was a Ring Bearer at the wedding, and in my opinion, was the cutest Ring Bearer ever! 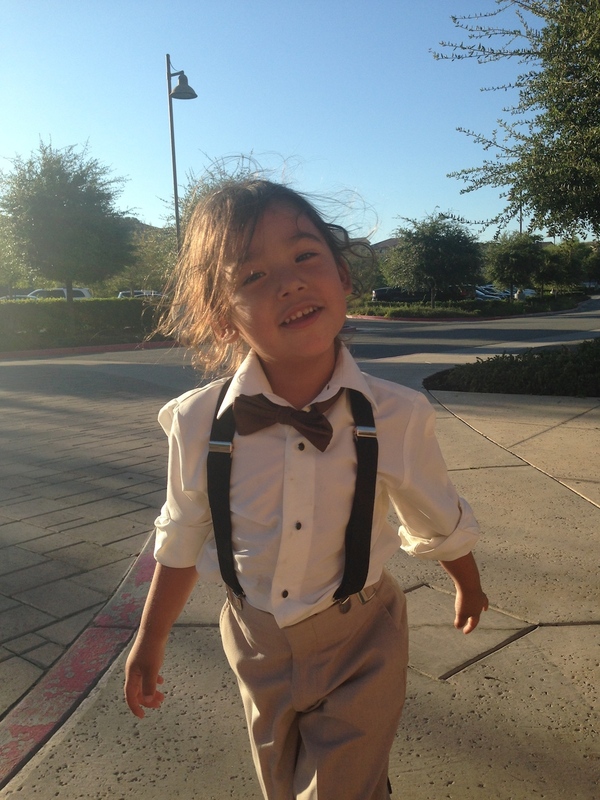 I was curious how he would respond to wearing a woven shirt, bow tie and dress shoes, but he was fine getting dressed up: he just didn't like the cufflinks rubbing on his wrists. I promised him cake after he walked down the aisle; there is nothing like bribery for a 3 year old. 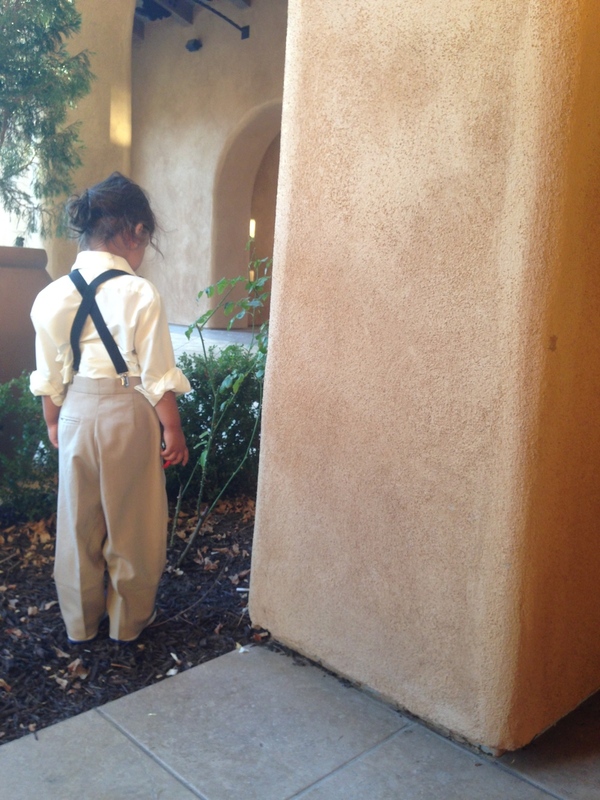 Nonetheless, my husband had to walk down the aisle crouched behind Mario to get him to walk. I gave Mario Seedling Super stretchy Lizards and Animal Planet Animal Head Tube of Sea Life for being such a good Ring Bearer, and though there was no wedding cake, there were plenty of yummy sweets, and Mario got his choice from the dessert table--his favorites were the cookies and macaroons. Besides dessert, Mario also loved taking the Party Bus with the Bridal Party, toasting the couple with Martinelli's Sparkling Apple Cider and getting attention from Albert's family; especially Albert's mother (Mario's Abuelita). 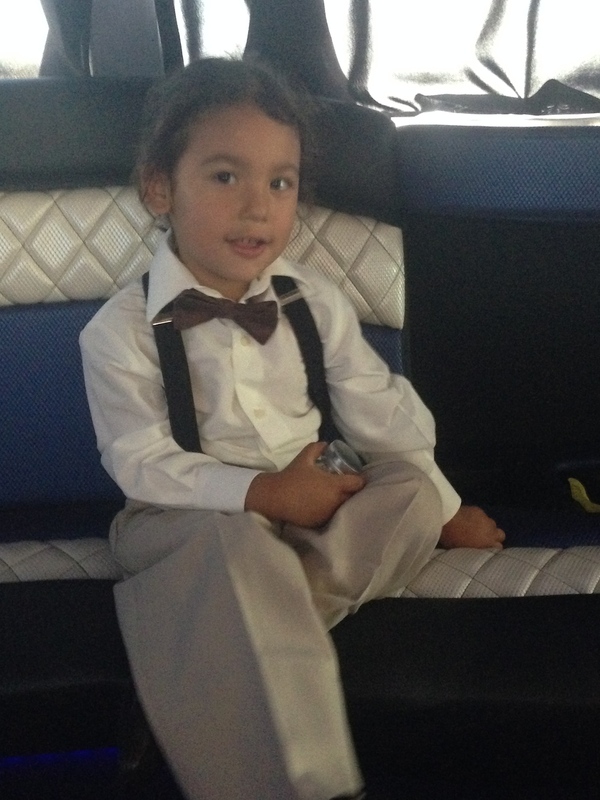 Here are photos of Mario in his rented bow tie, white shirt, dress shoes, khaki pants and suspenders. Immediately after the photos he changed into his Nike Sneakers and he ditched his Oxford Cap.